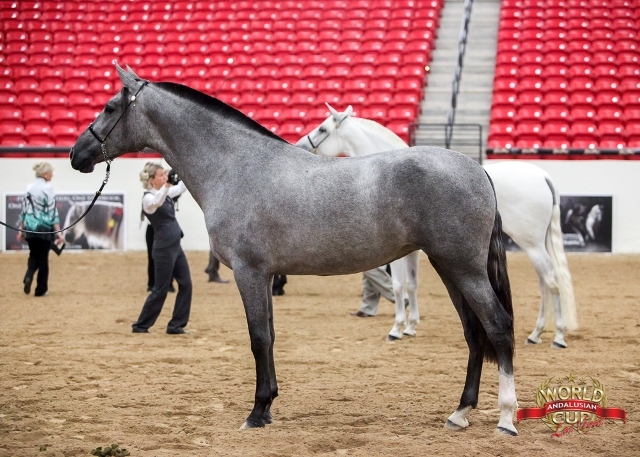 All of our current breeding stock have either produced National Champions or are themselves National Champions. 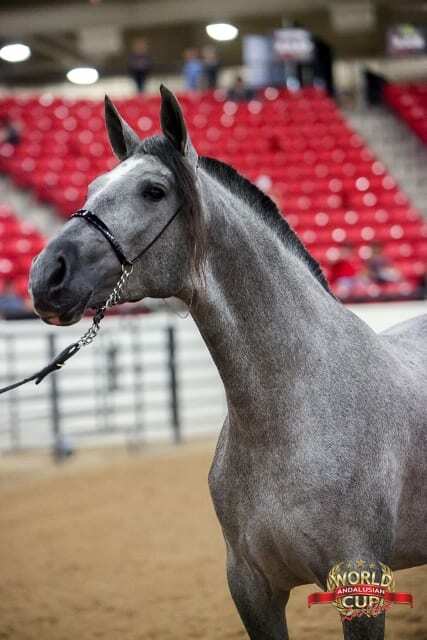 The beauty and talent that we have in our barn now is incredible . We’ve always believed that to produce top quality offspring you have to have both talented and beautiful mares and talented and beautiful stallions. 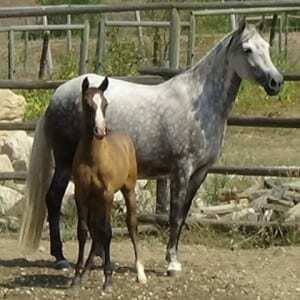 Their temperaments are crucial for producing that riding partner that always gives 110%. 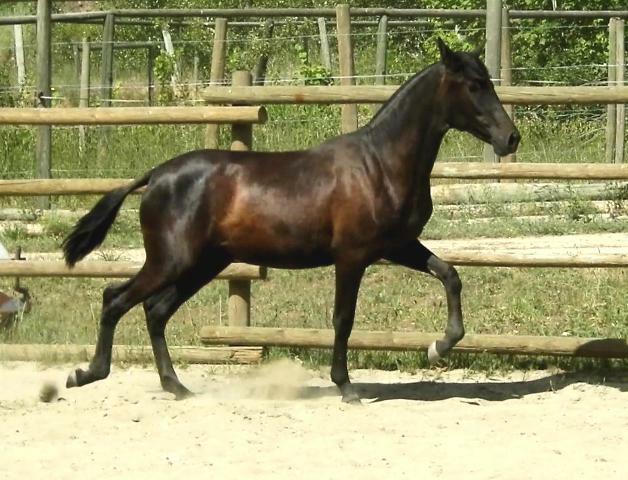 We currently have two breeding stallions standing at stud at Valhalla. Our 2010 stallion – VA Manolete’s Hijo Amado is the son of our foundation stallion and international dressage champion, Mystiques Manolete. 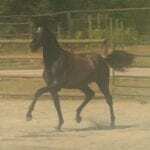 Amado is black and standing 16.2HH. 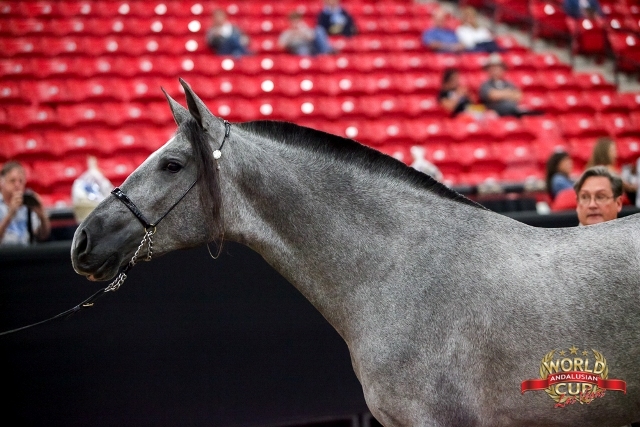 He was the 2017 and 2015 National Champion Senior Stallion and Gold Medal Movement winner. Our 2015 stallion is Norteño Rey MA and he will be standing to a limited number select outside mares in 2019. 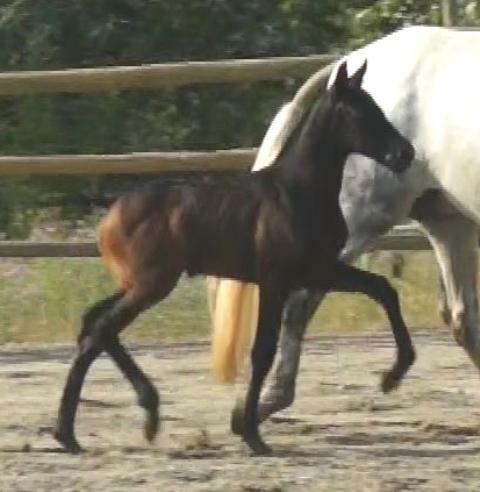 Norteño’s first foal crop is amazing with conformation and movement to die for. 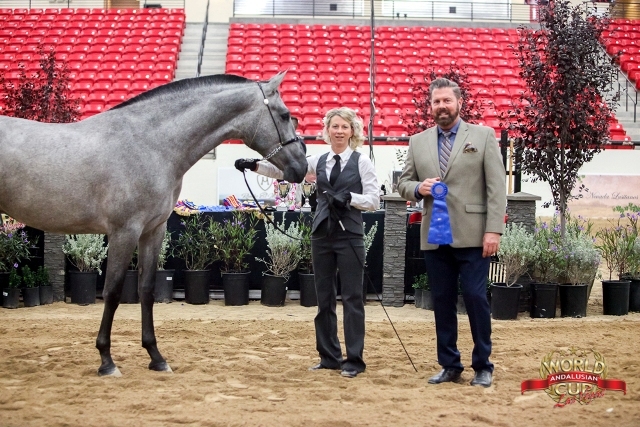 Norteño was Canadian National Champion 2 yr old Colt (2017) and Gold Medal Movement Winner and the National Champion 1 yr old Colt (2016) and Gold Medal Movement Winner. 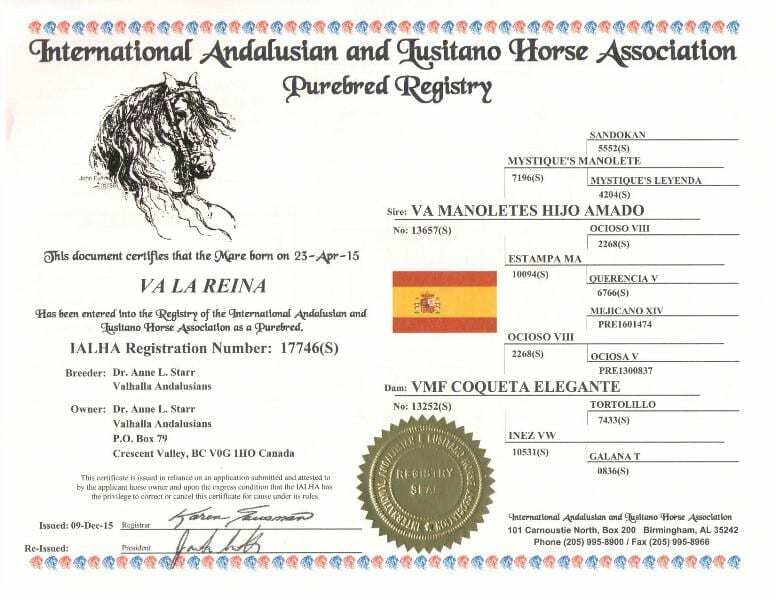 He was also shown at the Andalusian World Cup and was US Champion 2 yr old colt and Gold Medal Movement Winner in a very competitive field. 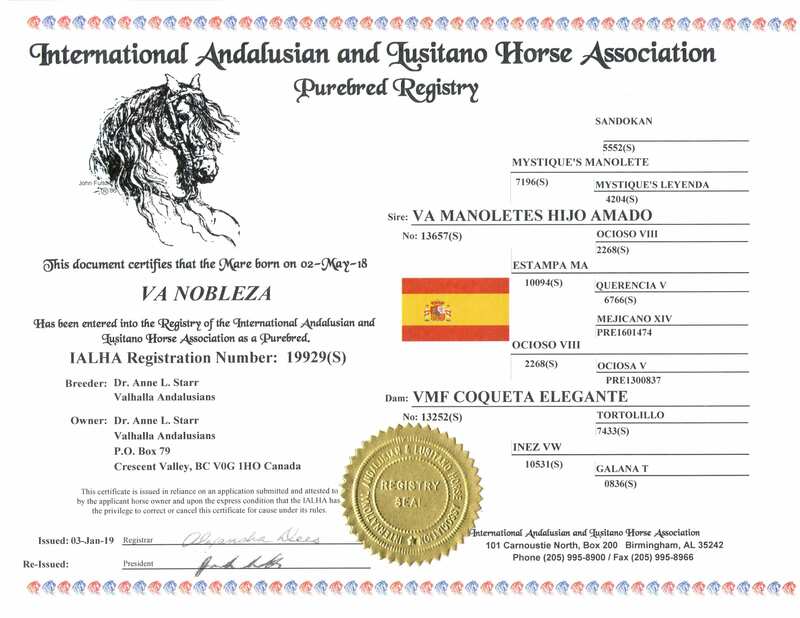 Norteño’s sire is US National Champion Escamillo and his dam is US National Champion Sonaja. 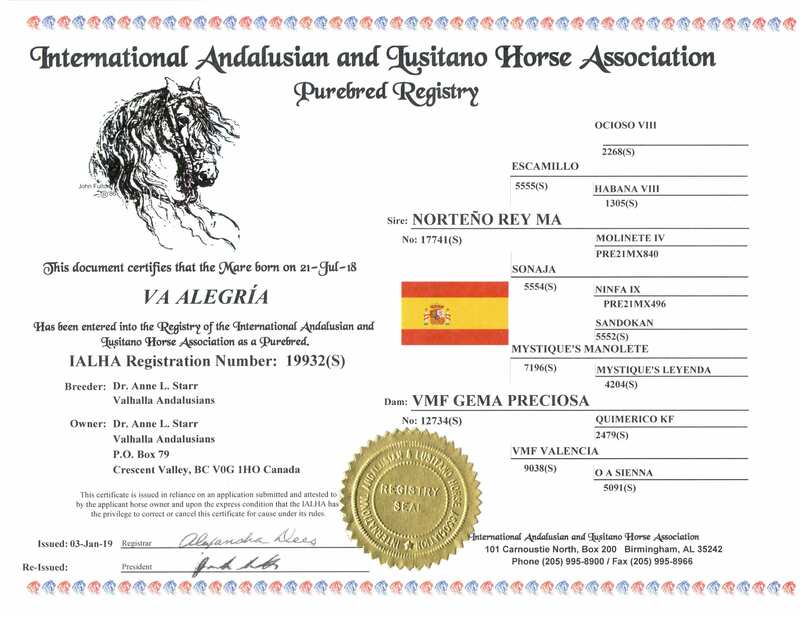 Norteno is the full brother to the only US National Grand Slam winner – Brioso MA (NC 2 yr old cold, NC Jr Stallion, NC Sr Stallion, NC Best Movement and winner of 2 futurities). 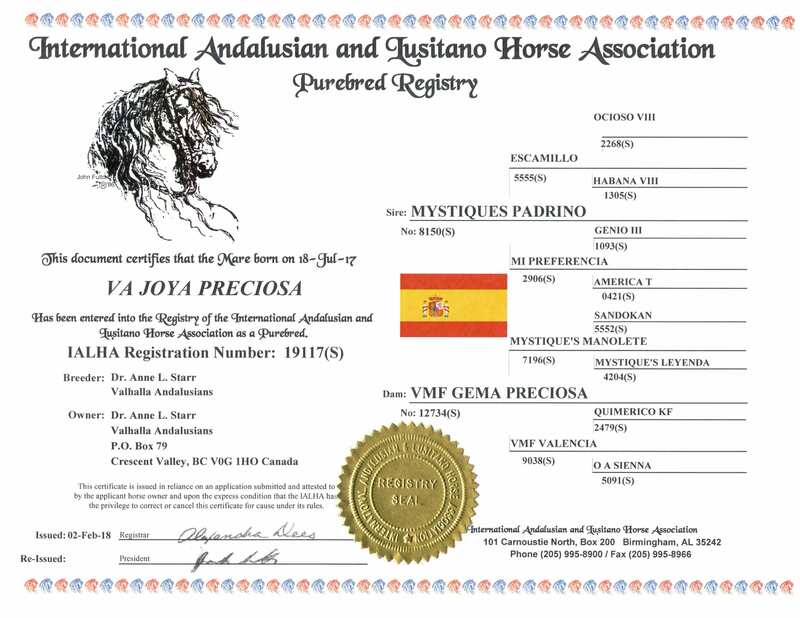 This gorgeous grey 2016 PRE Andalusian filly is out of our lovely mare VMF Gema Preciosa and by National Champion stallion Mystique’s Padrino. 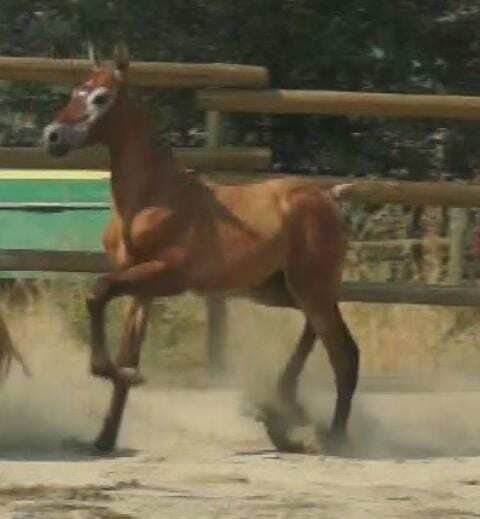 She has very correct conformation and outstanding movement with extensions to die for. 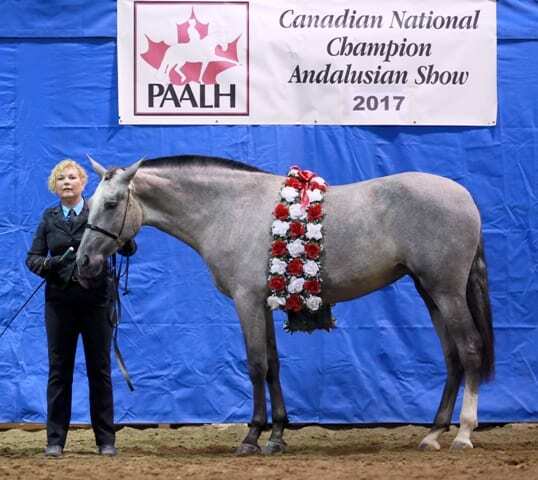 This gorgeous grey 2017 Andalusian filly is out of our twice Canadian National Supreme Halter Champion (2016/2017) and Best Movement winner VA La Duquesa. 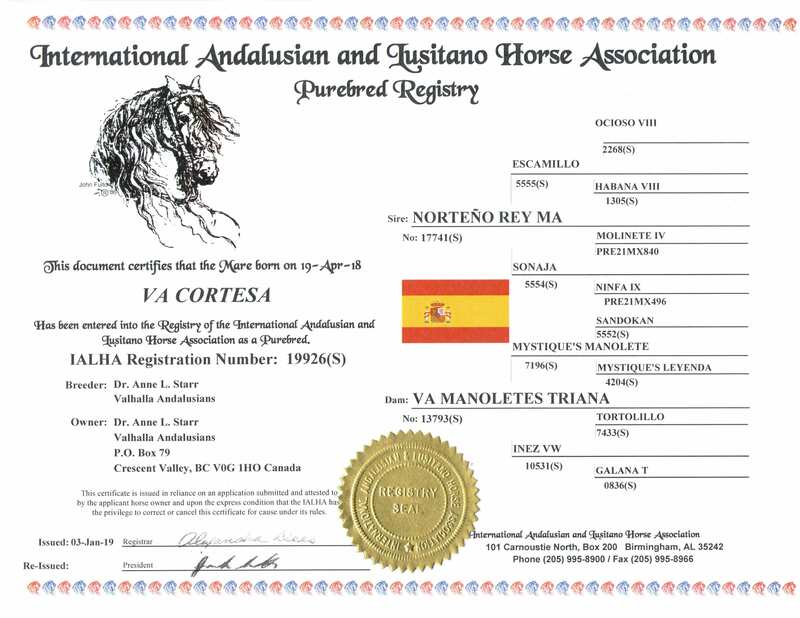 Spirit’s sire is our black stallion VA Manolete’s Hijo Amado. 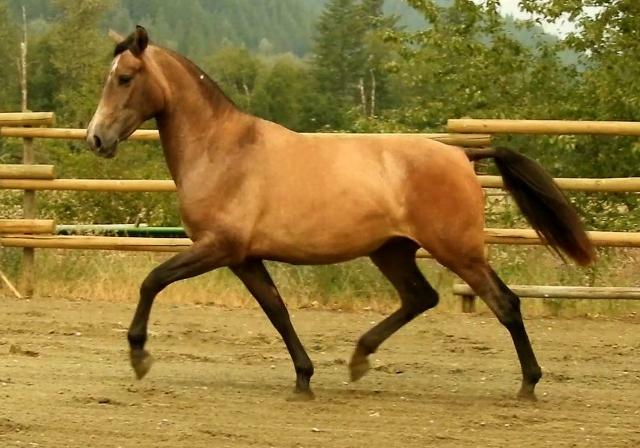 She has very correct conformation and outstanding movement with extensions to die for. 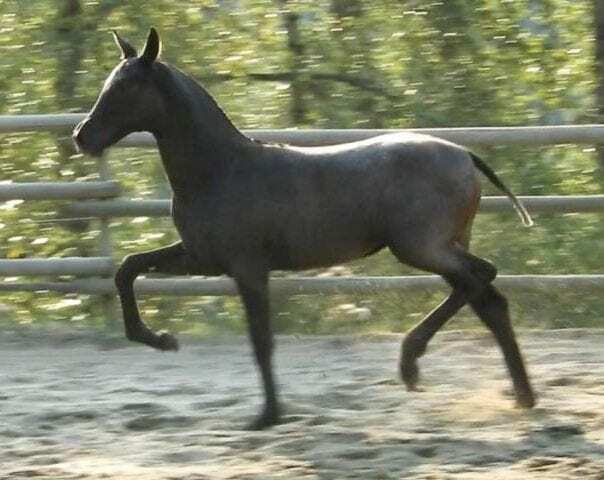 Gema is offered for sale for $12,000 USD with 2019 foal. 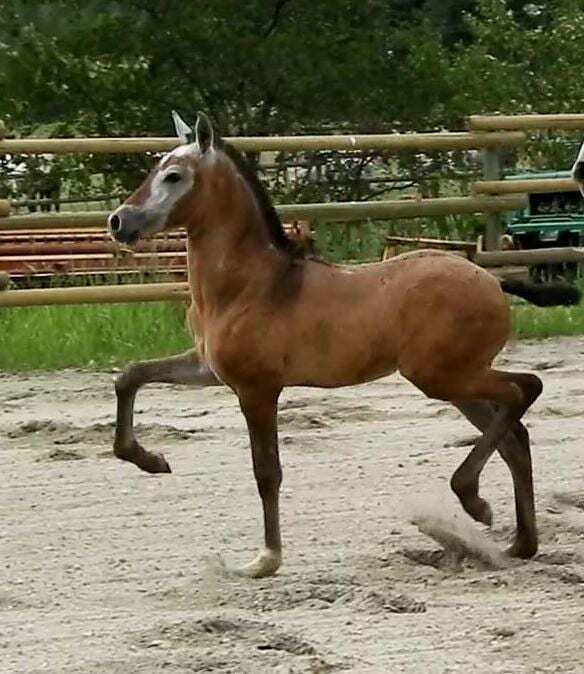 Possibility for a re-breed for a 2020 foal if wanted.